Having trouble viewing the webcast? Contact Technical Assistance here. This webinar will explore how the Linked Learning approach to high school reform complements efforts by teachers, schools, and districts to implement the Common Core State Standards (CCSS). 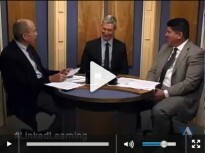 Linked Learning provides the “how” to the “what” of content standards by integrating rigorous academics with career-based learning and real-world workplace experiences for high school students. Panelists will discuss the parallels between Linked Learning and the CCSS, and share how the approach provides for innovative and integral alignment with standards, curriculum, and instruction. In this webinar, Brad Stam will discuss how Linked Learning provides an advantage to those implementing college- and career-ready standards. Theresa McEwen will provide insight into Linked Learning district approaches to aligning curriculum, instruction, and assessment with California’s content standards, and Louie Rocha will discuss school- and classroom-based instructional strategies. Bob Wise will moderate the discussion. Panelists will also address questions submitted by webinar viewers from across the country. Support for this webinar is provided in part by the James Irvine Foundation. Register and submit questions for the webinar using the registration form below. After registering, you will receive an email confirmation. 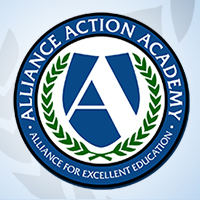 Please check your email settings to be sure they are set to receive emails from alliance@all4ed.org. If you are unable to watch the webinar live, an archived version will be available at all4ed.org/webinars usually one or two days after the event airs. CENTER FOR COLLEGE AND CAREER. FIRSTHAND WHAT IS BEING DONE. THE BOX BELOW THIS VIDEO WINDOW. BECAUSE OF THE LACK OF CHANGE. AND THIS IS IN 2013. GOING GONNA GET US THERE. BACKWARDS DOWN TO NINTH GRADE. STUDENTS ALSO LEARN IN COHORTS. GET A LEG UP ON THAT. WHO ARE NOT IN PATHWAYS. WE SEE THAT IN THE RESULTS. LEARNING AND THE COMMON CORE. HIGHLY DETAILED PIECES OF TEXT. FOR THE WHAT OF THE COMMON CORE. IN A LINKED LEARNING PATHWAY. >> — IN THIS FINAL SLIDE. >> WELL, THANK YOU, BOB. REFER US TO AS SAC CITY. CALL IT OUR GRADUATE PROFILE. MISSION STATE OF SAC CITY. STATEMENT FOR ALL OF US. COURSE, WAS THERE AS WELL. ABOUT AN HOUR OUTSIDE OF THERE. WE ARE NOW ABOVE 70%. WERE TALKING ABOUT HERE TODAY. CURRENTLY SHOWS WHERE WE’RE AT. NON-MATH WAY AT THIS TIME. ALL STUDENTS TO THAT LEVEL. THEY CAN BEST SUPPORT STUDENTS. DO BEFORE HAS BEEN PHENOMENAL. I THINK WE ARE LIKE 95.6. THEY SET THEIR OWN AGENDAS. >> IT IS AN IMPRESSIVE STORY. ME UP, WHAT DO THEY DO NEXT? GREAT PLACE TO GET STARTED. AND THEN I WILL TURN TO LOUIE? >> ACTUALLY, IT’S BEEN SIMILAR. LEARNING IS AN EQUITY STRATEGY. PATHWAY AND CART REAR INTEREST. 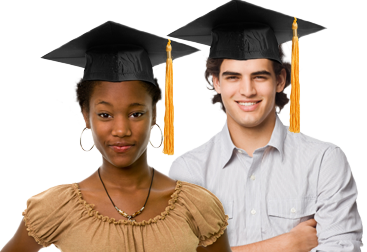 STUDENTS ENROLL IN THE PATHWAYS. THEY COULD TEACH THE COURSE. WHICH WAY THEY NEED HELP. SPECIFIC, WE RARELY GET A NO. HARDER TO GET FOLKS TO COMMIT. WANT TO THANK YOU VERY, VERY. AND THE AUDIENCE FOR JOINING US.